Featuring thought-provoking essays collected from scholarly journals, this highly respected reader provides an overview of the major, contending theories that shape U.S. foreign policy. Edited by one of the foremost authorities in the field, this volume contains selections written by leading scholars in U.S. foreign policy and international relations. 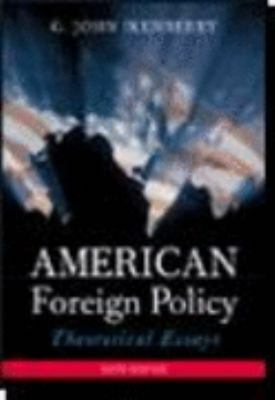 The essays provide representative statements of the major contending explanations of American foreign policy and encourage readers to evaluate the issues that shape our foreign policy today.Ikenberry, G. John is the author of 'American Foreign Policy: Theoretical Essays', published 2004 under ISBN 9780618918072 and ISBN 0618918078.